With increasing frequency, recipients of federal benefits have been targeted by scam artists seeking to bilk them out of their modest and much-needed benefits. Federal lawmakers have taken notice and have recently passed a measure that seeks to protect some of the most vulnerable benefit recipients from this malicious pattern. The bill now awaits the president’s signature to become law. Read on to learn more, and contact a VA-accredited Florida veterans’ benefits attorney with any additional questions. 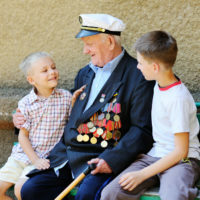 Aid & Attendance benefits are provided by Veterans Affairs to veterans who served as active military during a time of war and who now need assistance to carry out basic personal care activities and meet certain income and asset requirements. Recent scams have targeted veterans who are seeking these benefits, namely by demanding application fees from the veterans despite there being no cost to apply for Aid & Attendance benefits. The scammers are also known to place the applicant’s assets in trusts or annuities which prevent the applicants from accessing the funds for years at a time. This can also make the veterans ineligible for other federal benefits, such as Medicaid. The recently-passed bill, called the Veterans Care Financial Protection Act, was sponsored by multiple congresspersons and US senators, including Rep. Ted Deutch and Sen. Marco Rubio, both representing Florida. The bill, if enacted by President Trump, would require the VA Secretary to provide a warning to potential Aid & Attendance benefit applicants of scam artists and predators targeting these veterans. It would also require the Government Accountability Office to conduct a study on scams of federal benefit applicants and ways to limit the exploitation of those seeking these benefits. Federal benefit recipients, such as those receiving Medicare, Medicaid, and Aid & Attendance benefits, should all be wary of those who prey on these populations. Never give out your Medicare ID number to anyone who isn’t your physician or insurer. Anyone contacting you over the phone or through email to confirm your personal information or ID number is NOT a Medicare employee, so do not provide your information to these people. If you’re in the process of applying for Veterans’ Aid & Attendance benefits, know that only VA-Accredited organizations can help you complete your application for benefits, and they cannot charge to help you complete your application. Be wary anytime someone who claims to want to provide assistance says that your time is limited to apply before your right to benefits runs out; this is often a scare tactic intended to pressure you into using their services. If you need professional assistance applying for Aid & Attendance benefits or other VA benefits from a VA-accredited attorney, contact the West Palm Beach offices of Shalloway & Shalloway at 561-686-6200.